The Island has a multitude of groups and societies whose members give many hours of their time for the benefit of their local communities. They have been formed by people with an interest in a wide range of subjects which deserve individual attention. Some aim to preserve certain aspects of the Island's heritage or environment, others groups form to gather together information or items that may otherwise be lost. These like-minded people may be few in number but they play an important role in preserving or highlighting lesser-known aspects of the Isle of Wight. 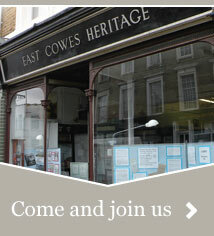 Formed in 1996 to record the rich history and heritage of Bembridge and surrounding areas. Formed in 2006 to restore Kingston Road Cemetery in East Cowes they now take on small projects around the town. Working to preserve the former hospital building and save it from destruction. Society aiming to restore the cemetery, its chapel, mortuary buildings, and monuments, and to preserve its records and wildlife. For all those who want to research their ancestors. Members include people with Island ancestry who live on the UK mainland or elsewhere in the world as well as those who live on the Isle of Wight but whose families came from elsewhere. The Society studies, records and publishes on all aspects of natural history, geology and archaeology and acts as the local record centre for the County. The Centre opened in 2011. Run entirely by an ever increasing body of volunteers, the Centre won awards from the Isle of Wight Community Action group in 2012 and 2013. 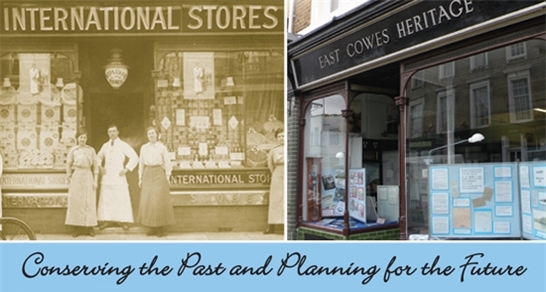 Formed to research, document and share information about the history of Ryde, its development, people, businesses and entertainments. Houses the Ventnor Heritage Museum and the Ventnor & District Local History Society, both entirely managed and run by volunteers.